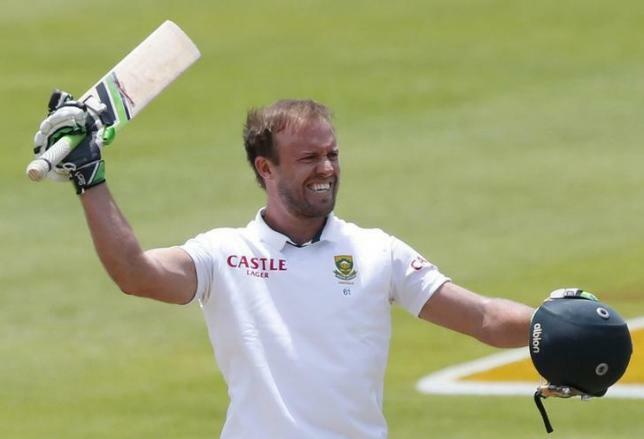 CAPETOWN – AB de Villiers has been granted paternity leave and will miss the two-test series in Bangladesh, Cricket South Africa (CSA) said on Wednesday. The Proteas named four uncapped players in their test squad for the matches in July and August. Opener Reeza Hendricks, wicketkeeper Dane Vilas, spinner Aaron Phangiso and fast bowler Kagiso Rabada have all previously represented the country in the limited overs formats. One-day captain De Villiers, however, will play the limited over matches preceding the tests. “The changes have been brought about partly by the retirement of Alviro Petersen and the non-availability of AB de Villiers who has been granted paternity leave,” CSA convener Andrew Hudson said in a statement. “Reeza and Stiaan van Zyl are both options to open the batting and Stiaan can also be used in AB’s batting position in the middle-order. Dane provides us with the wicketkeeping cover that would normally also be AB’s responsibility. Pace duo Dale Steyn and Vernon Philander have been rested for the three-match one-day series and were replaced by Rabada, Chris Morris and all-rounder Ryan McLaren. The remainder of the squad that went to the World Cup earlier this year has been retained. Leg-spinner Eddie Leie is the only uncapped player included in the Twenty20 squad. Starting from July 5, South Africa will play two T20 internationals, three one-dayers and two tests in Bangladesh. Test squad: Hashim Amla (captain), Temba Bavuma, Quinton de Kock, JP Duminy, Faf du Plessis, Dean Elgar, Simon Harmer, Reeza Hendricks, Morne Morkel, Aaron Phangiso, Vernon Philander, Kagiso Rabada, Dale Steyn, Stiaan van Zyl, Dane Vilas.